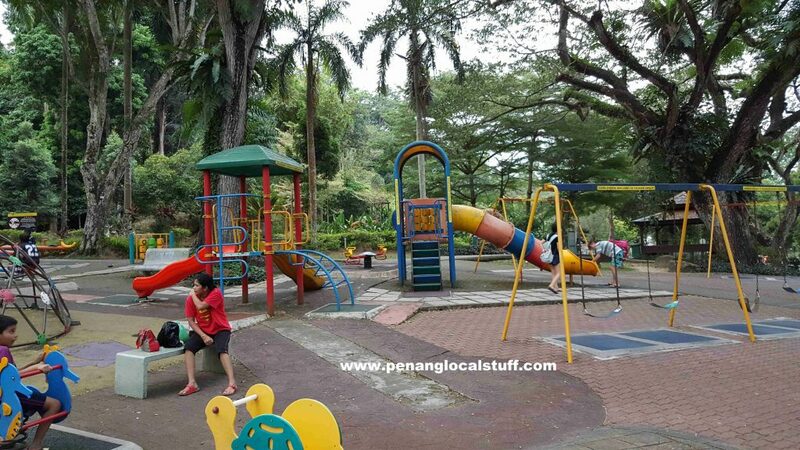 The Penang Youth Park (Taman Perbandaran Pulau Pinang / Taman Belia) is a popular place for Penangites. Most people go there to have some physical exercise, be it hiking up the hill, jogging, playing badminton, soccer, or even just walking around while enjoying the green scenery. 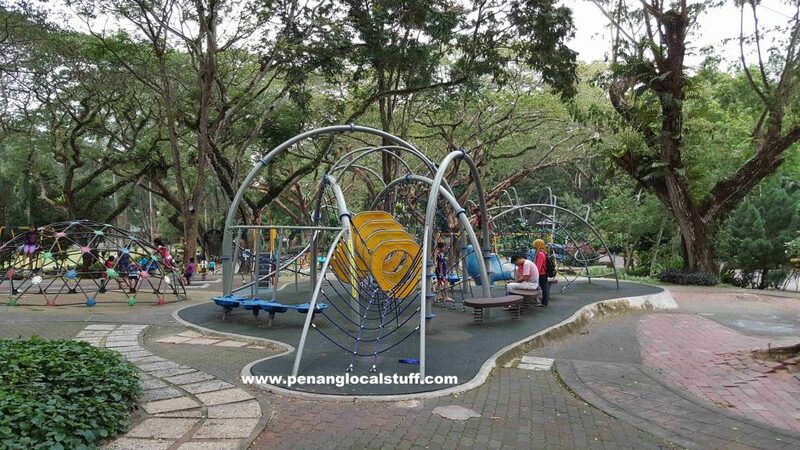 There is a children’s playground within the Penang Youth Park, nestled among the big trees. 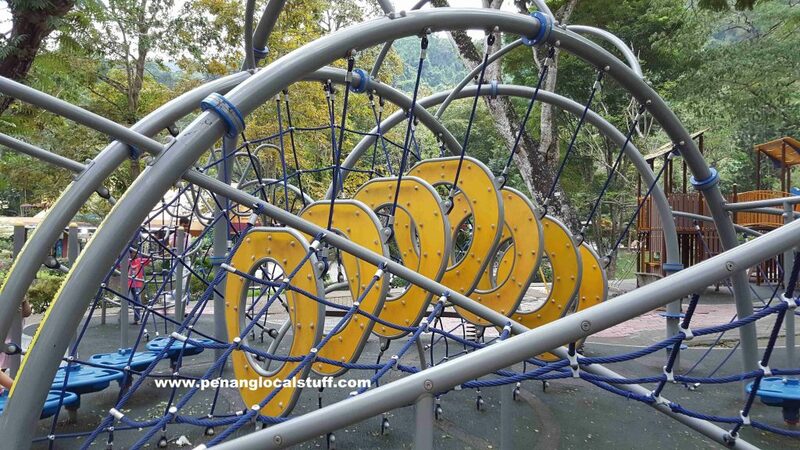 It is quite a big playground with many recreational equipment such as slides, see-saw, swings, and some obstacle course-type equipment. As there are many trees in the area, the playground is shaded from the sun and has quite a cool temperature. On weekends, there are many children playing here even at noon. There is a roller skating ring located right beside the playground. There are children learning to roller-skate here, but there are also children who brought along their tricycle or bicycle into the roller skating ring. In the middle of the roller skating ring, there is an open space that people often use to play badminton and other games. 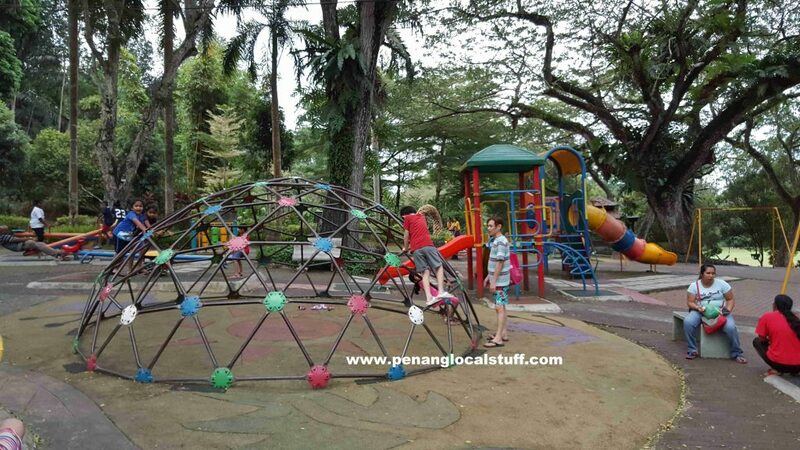 The playground is the main reason my daughter often asks me to bring her to the Penang Youth Park. If you have children, I would recommend bringing them to this playground, they will enjoy themselves.